Send us an email with your contact phone number and a brief outline of your requirement, complete the form or call us now. Initial consultation is FREE (*Kent only), allow approx 1-2hrs for the initial web design meeting. What do we need to help build your website? 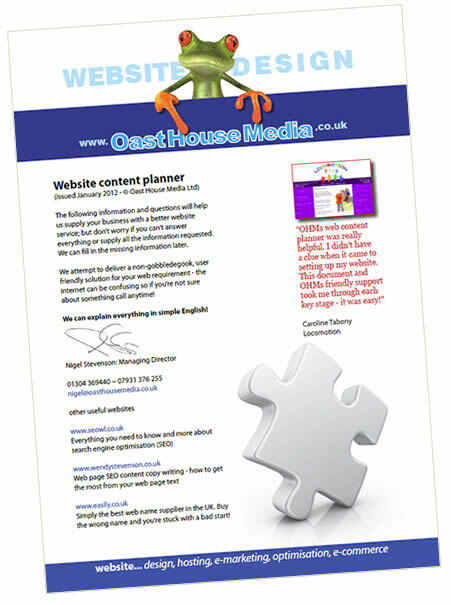 Having provided web designs for 100’s of clients we know ALL the answers! Using that knowledge we’ve created a unique Website Planner document to help you to provide us with the right information. Our Website design jargon buster download (PDF) might also help if you’re struggling to sleep at night!